I have a list of Christian authors that I will read every book they publish without question Denise Hunter is one of those authors and I find her books are really good reads. 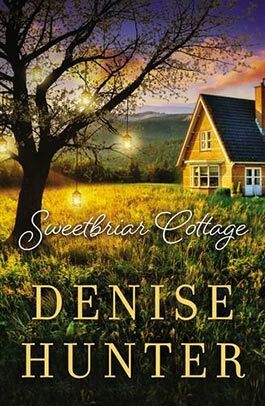 She tends to write series but her latest book, Sweetbriar Cottage is a standalone novel and it's an amazing read. I really enjoyed this book and loved how it jumped between the past and present, it really gave the story some added depth. It was also good how it jumped between Josephine's view and Noah's view so you could see the story from all angles instead of one sided. I liked Josephine from the moment I met her in the book but it was clear that she felt she didn't deserve to be loved. It was great seeing her develop and realise that her past didn't affect her future or her happiness. Noah took me a while to warm up to and it was clear that he had isolated himself from people and distanced himself from the ones he has loved since the divorce and that the last thing he wants is to be stuck with his ex-wife. You get to see varying sides of him throughout the story and just how much he doesn't want to let go of Josephine despite what he has convinced himself to think. This book isn't a typical love story like I am used to reading, but a story about forgiveness and healing. It's about how you can think people will judge you because of your past but sometimes once they know the full story you will not only receive forgiveness but also healing. At times I wasn't sure where the story was going but everything worked out in the end as should happen in all good stories. Denise knows how to write a story, I finished this book in 2 days and was on the edge of my seat for most of it. I loved every minute of reading it and it was everything and more I hoped it would be. If you are after a good read that will stay with you long after you've read it, I highly recommend Sweetbriar Cottage.